We participate in various scientific projects. We are always open for new project proposals. For more information please contact us. The INFANS project responds to the progressively increasing demand for effective and safe means to monitor neonatal brain functions. Reliable and early observations of new-born brains are crucial to prevent neurological, cognitive and/or motor impairment later in life. To address this challenge, a group of 15 early stage researchers will work together to build a novel platform based on high quality, EEG-NIRS measurements. In addition, the skills of the researchers will be trained to fulfil the need of competitive specialists. More information about this project.. The goal of the RHUMBO project is to create a fully functioning fNIRS-based tool for neuroeconomics research. By incorporating mixed reality technologies (MRT) together with different biometric signals (fMRI, fNIRS, eye tracking, EEG, etc.) and supported by artificial intelligence processing techniques, this project will support the technological advance of the neuro-business sector and will provide new methods to investigate and comprehend human decision-making in business environments. In the PROMPT project, six different organizations combine their expertise to develop a mobile system for diagnosing and treating mobility dysfunction in patients suffering from motor-related brain disorders, such as Parkinson’s disease. We will further improve the technology of mobile fNIRS system and make it more suitable for monitoring activity in a broad network of brain areas during movement. This project aims towards facilitating cost-effective and patient-specific treatment of motor problems. This project is focused on patients with a disorder of consciousness (DOC). We want to create an unique, multimodel brain imaging system and service to help these patients. We develop a platform that will use EEG and fNIRS to evaluate awareness, provide communication and provide rehabilitation. This non-invasive, portable, real-time measurement system will provide a practical tool for patient interaction for this unique group while providing brain maps and other details to medical professionals. The MOTION consortium consists of renowned academic and industrial partners from Sweden, United Kingdom, Italy and the Netherlands. Forces are joined together to educate the next generation of European experts in cognitive neuroscience and biological imaging in the industry and academia. The project will focus on studying infants’ and toddlers’ body movements, gaze direction, and brain activity as they spontaneously and actively explore the world around them. The NeuroGuard system will be a novel neuromonitoring device for neonates in intensive care units that for the first time combines electroencephalography (EEG) and near-infrared spectroscopy (NIRS). Multimodal data integration for joint signal analysis will support monitoring and allow to reinforce or contraindicate single-modality based medical diagnosis. This enables more targeted interventions and will allow more newborns to live a life without physical or mental impairments. "Food is important for a healthy development of body and brain. But how do we get an insight into what nutrition is good for us?" As of this month, Artinis will participate in a new scientific project called BriteN. Together with researchers from the Donders Institute from the Radboud University, UMC Nijmegen, TNO, Mead Johnson Nutrition and companies Metris and Green Dino we will work on developing a platform to test the effects of food interventions on the brain development. This project aims to reduce the risk of obesity in children and lower the chance on developing a metabolic syndrome. Metabolic syndrome is associated with the increased risk of developing cardiovascular disease and diabetes. Virtual reality-tests will be created to measure cognitive development of children and to assess their risk of developing obesity. Special attention is paid to the difference between boys and girls. Artinis will provide a user-friendly, plug-and-play device to measure the effect of cognitive interventions for children using our portable NIRS. With our devices it is possible to monitor brain activity without the use of large intimidating scanners, making it especially child-friendly. Our engineers are thrilled to work on such a groundbreaking project. 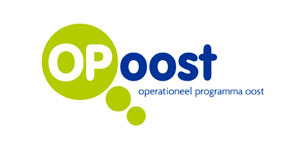 This project has received funding from the European Union and the “Europees Fonds voor Regionale Ontwikkeling”. Artinis is involved in a research project for Clinical Imaging Quality Assessment with three prominent Dutch Universities, in which Artinis develops anthropomorphic phantoms for quantitative assessment of 2D and 3D clinical image quality. Assessment of clinical image quality can be performed with human observers, like radiologists, and images of anthropomorphic phantoms or clinical patients. The new phantoms will be a stand-in for the patient and computer model observers will be stand-in of the radiologist. The phantoms and computer model observers will be generically applicable in the medical imaging field and will be applied in : (1) 2D Full Field Digital Mammography (FFDM), (2) Pseudo 3D Tomosynthesis, and (3) 3D Computed Tomography (CT). With the methodology it will become possible to perform accurate assessment of clinical image quality in pace with the fast developing diagnostic imaging technologies. In the developed world food is abundant and we must make choices about our food - choices in what we eat, how much we eat and when we eat. But with these choices come problems. It can be hard to make healthy decisions, often foods that are inexpensive and convenient contain a large number of calories, as a result the levels of overweight and obesity are high and rising. This has clear consequences on our health; not just diseases like diabetes and high blood pressure, but psychiatric problems like anxiety and depression. These health problems are accompanied by huge social and economic costs: they affect individuals in the midst of their working lives, impoverishing families through time lost at work and impaired employment prospects. Stress can add to these pressures, and can enhance the vicious cycle of weight-gain through “comfort eating”. The factors that drive food choice are poorly understood. Nudge-it is devoted to developing and implementing novel scientific approaches to better understand this problem and provide evidence-based solutions. Artinis provides Near infrared spectroscopy know-how and systems for measurement of the cognitive processes belonging to food choice. This project has received funding from the European Union’s Seventh Framework Programme for research, technological development and demonstration under grant agreement no 6073010. The NeuroCIMT programme aims to develop novel ways of monitoring and treating neurological diseases and sensory impairments through quantitative models of the brain. The project is aimed at delivering a proof of concept or prototype for clinical application. The research programme combines fundamental research with actual applications in a clinical setting. The research focuses on four specific systems: the auditory system, the pain regulation system, the autonomous nervous system and the neuromuscular system. Artinis provides the Near infrared spectroscopy know-how and systems for this project to image the brain. I3B is a network of high-tech companies and knowledge institutes aimed at joint research & development and commercialisation of innovative ICT solutions. The goal of FOCOM (Food and Cognition Model systems) is to design novel test setups that can help us to understand how food and brain influence each other. One of these is a “virtual shop simulator”, which allows a consumer to navigate through a virtual supermarket while his behavior, physiology and brain responses are captured. A project for Brain-Computer and Computer-Brain Interfaces: devices for detecting and modifying brain activity.